Rescue Parade for 2013 will be on Saturday August 31 – Labor Day w/e. 4089 Iron Works Parkway, Lexington, Kentucky, 40576. Neena Van Camp at 513.227.3168 if you are lost on the grounds. 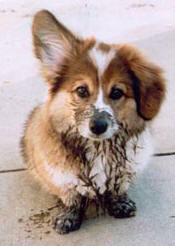 We hope that you and your corgi will join us at the Kentucky Horse Park for this rescue event. The morning will begin with Karen Strasser hosting a Canine Good Citizen (CGC) seminar for those of you who are interested. Benefits of earning a CGC, the tasks that must be mastered to earn a CGC and training steps toward mastering these tasks will be covered. Following the CGC seminar, we will feature Corgi Rescue alum, Charlie, owned by Mary Jenkins of Cincinnati, as we discuss weight management for Pembroke Welsh Corgis. Please bring chairs to go with a free lunch and crates for your dogs if YOU want to go up to the all-breed indoor show area. 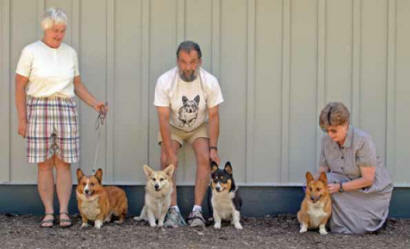 Karen Strasser will be the babysitter for your corgi if you wish to go. Those wanting to watch the corgi classes at the indoor show should contact Neena Van Camp at neenapembroke@gmail.com one week prior to the event to learn showing time and ring number. That is when show schedule will be published and she can provide that information to you. Rescue will also have our traditional sales tables and Chinese Raffle items available this year too. BTW so far the soft sided crate and the Kennel Aire crate have been sold.